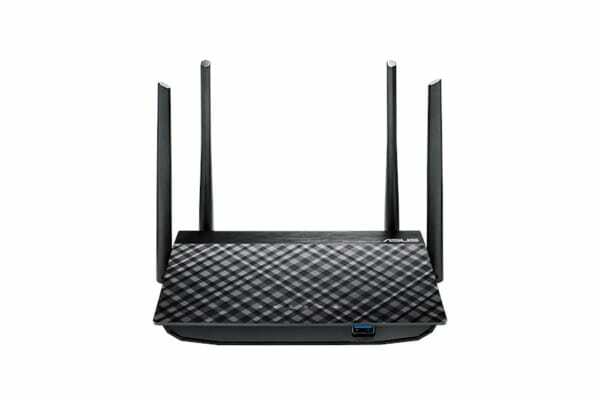 The ASUS RT-AC58U AC1300 Dual-band Gigabit Wi-Fi Router delivers high-speed performance perfect for streaming up to 4K Ultra HD videos, online gaming with support for latest gen consoles such as Xbox One and PlayStation 4 and performing other bandwidth-intensive tasks. 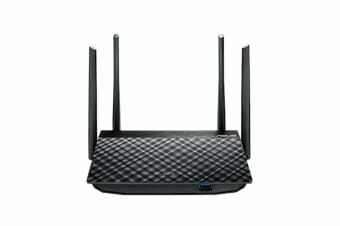 The ASUS RT-AC58U AC1300 Dual-band Gigabit Wi-Fi Router delivers high speed internet via dual-band AC1300 Wi-Fi and is packed with features – multi-purpose USB 3.0 port allows printer, hard drive and 3G/4G sharing; while ASUS AiCloud support allows you to access, share, and stream files from your home PC to internet-connected devices. USB 3.0 port delivers up to 10-times faster data transfers than USB 2.0. It makes RT-AC58U perfect for file, multimedia, and 3G/4G sharing, while ASUS AiCloud enables remote access and content streaming.